Do you have a knack for taking apart things, figuring out how they work, and then repairing what was wrong? Are you handy with tools? Come join the Physical Facilities team that strives to maintain the offices, and housing on center. You will have a chance to work on a variety of projects, that all help to make Bible translation possible. 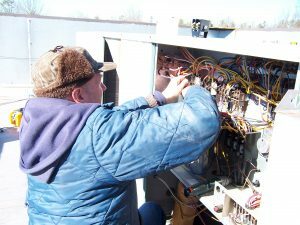 Maintain and repair appliance, mechanical, and HVAC equipment.